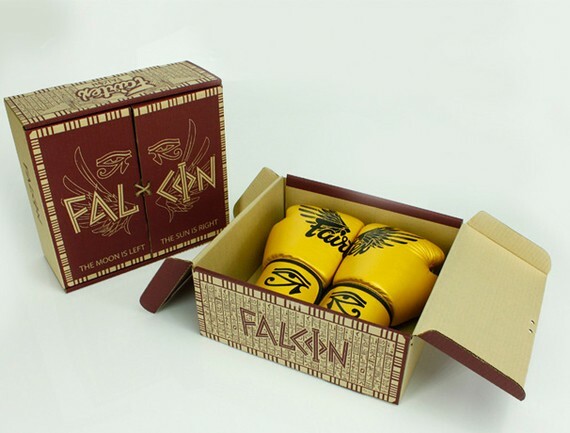 Gold, limited edition “falcon” themed gloves by Fairtex. 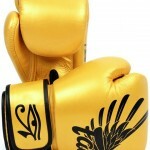 Based on the structure of the classic BGV1 model. 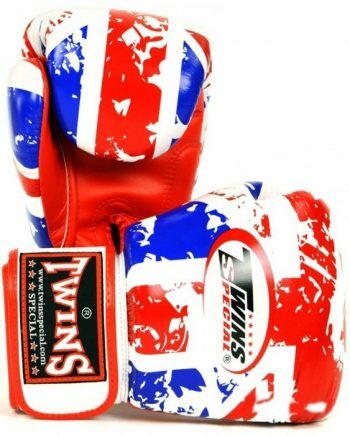 Hand made in Thailand and thoroughly inspected before release. 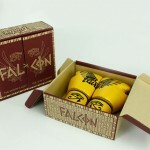 Short cuff for wrist mobility and Velcro enclosure system for wrist support. 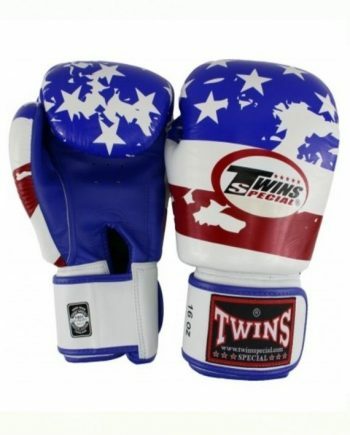 Sold as a pair, select size below.. 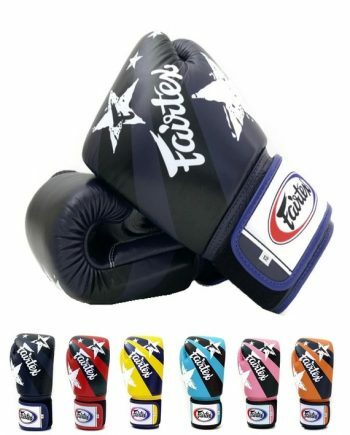 The “falcon” gloves are a limited edition release by Fairtex, so get them while you can! 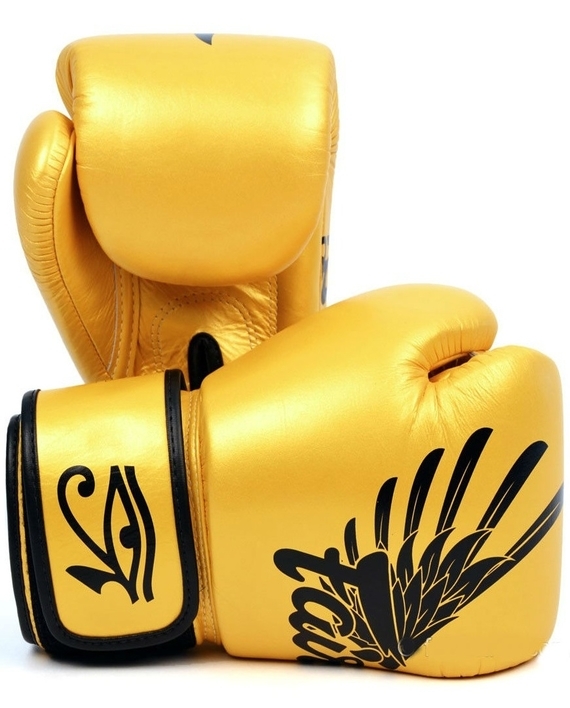 These gloves are modeled based on the classic BGV1 model. 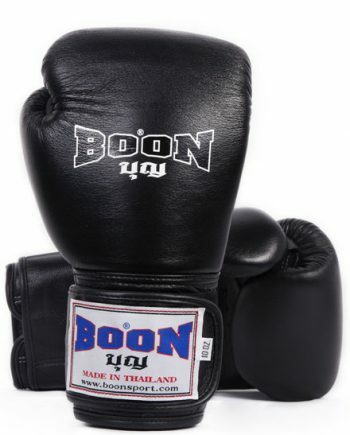 Made by hand in Bangkok, Thailand, these gloves emphasize quality and are thoroughly inspected prior to release. 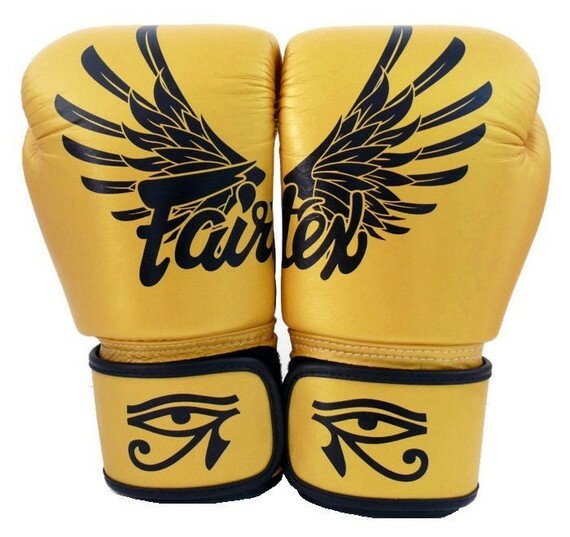 There’s a wing on each of the gloves, which line up when the gloves are next to each other, and there’s an “Eye of Horus” symbol on the cuff. 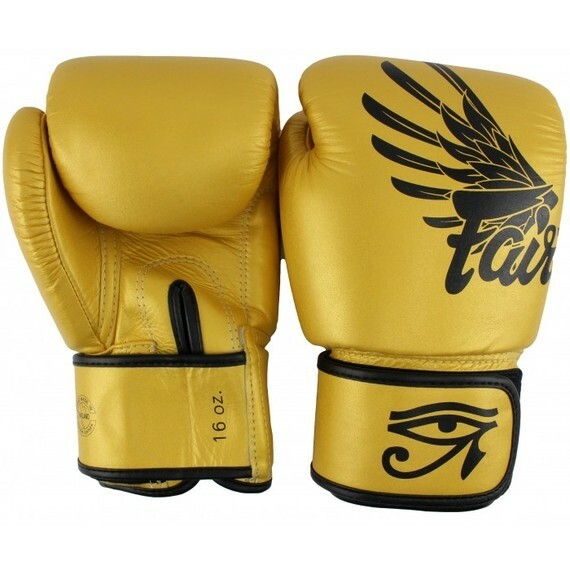 Horus was ancient Egyptian sky god, usually depicted as a falcon – hence the design of the gloves. 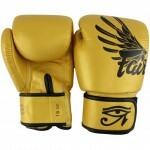 In one myth, when Set and Horus were fighting for the throne after Osiris’s death, Set gouged out Horus’s left eye. The majority of the eye was restored by either Hathor or Thoth (with the last portion possibly being supplied magically). When Horus’s eye was recovered, he offered it to his father, Osiris, in hopes of restoring his life. 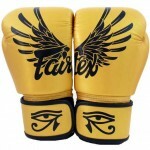 Hence, the eye of Horus was often used to symbolize sacrifice, healing, restoration, and protection. “Third eye” symbolism is seen everywhere when you look for it, and is often representative of the pineal gland. The pineal gland is a pine-cone shaped endocrine gland located in the center of the brain, which releases Melatonin – a hormone that effects our sleep/wake patterns as well as Dimethyltryptamine (DMT), which is secreted while we sleep and prior to death, and has been termed the “spirit molecule”.